MRHFM is committed to helping mesothelioma victims and their families and to assisting the medical community in its ongoing battle to develop better treatment options for mesothelioma. Together, their efforts could even help pave the road to a cure for mesothelioma and other asbestos-related diseases. MRHFM’s latest endeavor involves everyone at the firm. Right now, the partners at MRHFM are busy gathering donations from some 100+ employees, including attorneys, investigators, client services managers, and support staff. MRHFM plans to match every single dollar raised and donate it to the Mesothelioma Program at the University of Chicago (UChicago). If you haven’t heard about the Program yet, the following information will help you understand what it’s all about. The Mesothelioma Program is a consequential component of the University of Chicago Comprehensive Cancer Center (UCCCC). Established in 1973 and part of The University of Chicago Medicine, UCCCC is one of only two National Cancer Institute (NCI)- designated Comprehensive Cancer Centers in the State of Illinois. The Center, which comprises a collection of 210 prominent scientists and physician scientists, began its quest to eradicate malignant mesothelioma more than 20 years ago. 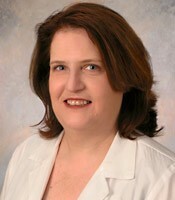 Today, under the direction of award-winning oncologist *Dr. Hedy Lee Kindler, the Mesothelioma Program is “positioned to offer the most diverse treatment options to patients.” The Program has been successful thanks to the collective efforts of an extensive team of medical oncologists, nurses, scientist, surgeons, pathologists, and imaging specialists that are well-versed in the intricacies of this unique disease. By fostering a team environment that highlights weekly mesothelioma meetings and through collaborative testing and research with NCI, drug companies, and other allied institutions, the Program has made great strides in multiple areas of mesothelioma treatment. Treatment options such as chemotherapy, surgery, and untapped targeted agents are the Program’s leading concerns. The Mesothelioma Team understands that there is no one-size-fits-all treatment for asbestos-related diseases. Simply put, every patient is different. Currently, the Program has a veritable cache of options that can be used singularly or combined to meet each patient’s specific needs. The Mesothelioma Program at UChicago has helped improve the quality of life and survival rates of many mesothelioma patients. With the support of the public, our government, the medical community, and firms such as MRHFM, programs such as this can continue to conduct innovative clinical trials and create new treatment options to help patients live longer, healthier lives. Dr. Hedy Lee Kindler is Associate Professor of Medicine, Medical Director of Gastrointestinal Oncology, and Director of the Mesothelioma Program at The University of Chicago Medicine. In addition to malignant mesothelioma, Dr. Kindler’s specialties include medical treatment of pancreatic cancer and gastrointestinal stromal tumors. A leader in the competitive clinical trial arena, Dr. Kindler has served as President of the International Mesothelioma Interest Group (iMig) and she is an associate editor of Lung Cancer Journal. Dr. Kindler is also an active member of the Alliance for Clinical Trials in Oncology, the American Society of Clinical Oncology, the Science Advisory Board of the Mesothelioma Foundation, the NCI Pancreatic Cancer Task Force, the Mesothelioma Foundation, and more. A prolific speaker and lecturer, Dr. Kindler has risen to the occasion at hundreds of scientific engagements across the globe. Her accomplishments have garnered a plethora of well-deserved accolades including a spot on the list of America’s Top Doctors for Cancer, Best Doctors in America, and Top Doctors in Chicago. Board Certified in Internal Medicine and Medical Oncology, Dr. Hedy Lee Kindler attended medical school at the State University of New York (SUNY) at Buffalo and she completed her internship at the University of California Los Angeles (UCLA) Medical Center. Dr. Kindler went on to complete her fellowship at the renowned Memorial Sloan Kettering Cancer Center in New York. Dr. Kindler began practicing in 1995. Less than 20 years later, thanks to her tireless efforts in the world of mesothelioma research, treatment, and raising awareness, Dr. Kindler received the Dr. Irving Selikoff Lifetime Achievement Award by the Asbestos Disease Awareness Organization (ADAO) in April of 2010. Dr. Kindler’s current practice locations include The University of Chicago Medicine, 5841 S. Maryland Avenue, Chicago, IL. 60637 and UChicago Duchossois Center for Advanced Medicine, 5758 S. Maryland Avenue. To learn more about Dr. Hedy Lee Kindler and the University of Chicago Mesothelioma Program, visit The University of Chicago Medicine website at UChospitals.edu. If you would like to learn more about mesothelioma, treatment options and more, request a copy of 100 Questions & Answers About Mesothelioma here—compliments of MRHFM.